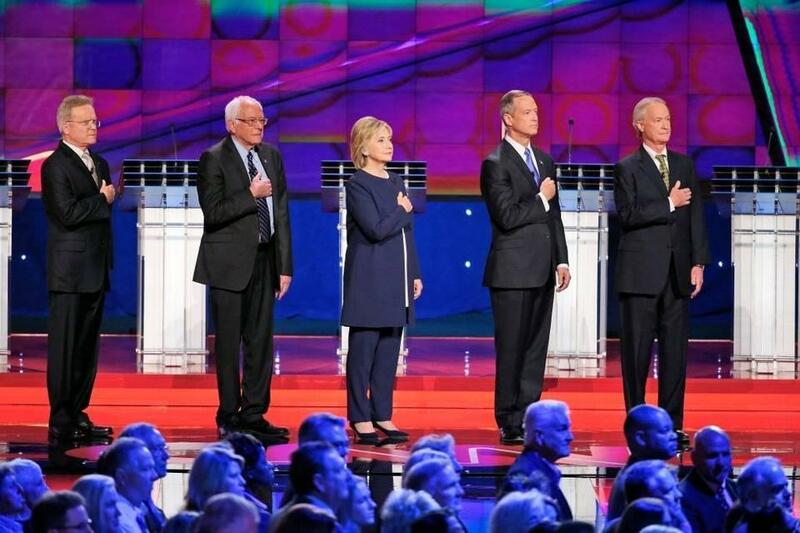 From left, Democratic presidential candidates former Virginia Sen. Jim Webb, Sen. Bernie Sanders of Vermont, Hillary Clinton, former Maryland Gov. Martin O'Malley and former Rhode Island Gov. Lincoln Chafee at the Oct. 13 Democratic debate. Listen to Miami Dade College President Eduardo Padron talk about MDC's role in the national political campaign trail during the Sunshine Economy in June. 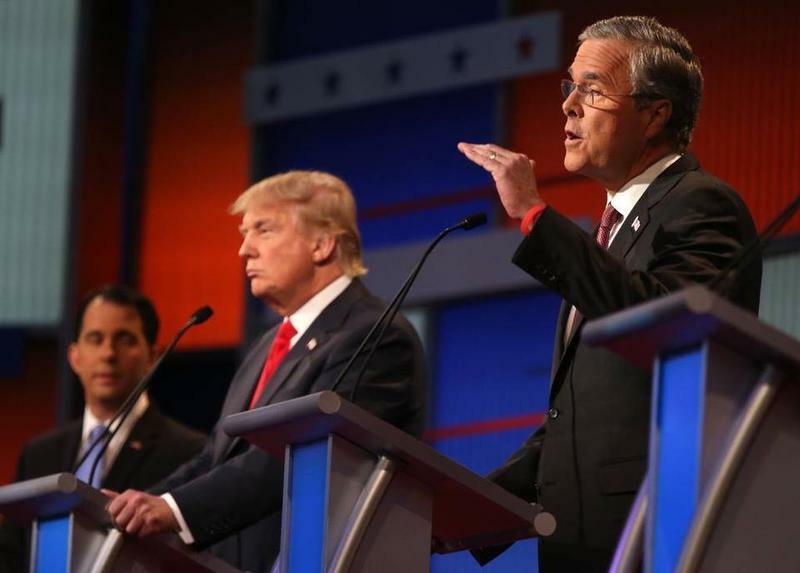 A presidential debate is coming to South Florida. Positioned just six days before Florida's presidential primary early next year, the Democratic debate will take place at Miami Dade College's Kendall campus, according to an email from Miami Dade College. Set for 9 p.m. on March 9, the debate will be geared toward Hispanic voters, capitalizing on its location in predominantly-Hispanic Miami Dade College and in the large suburb of Kendall, where 63 percent of residents are Hispanic, according to the latest census data. The Democratic National Committee and debate organizers Univision and the Washington Post will host the debate in the Building 7 Gymnasium at the Kendall Campus. 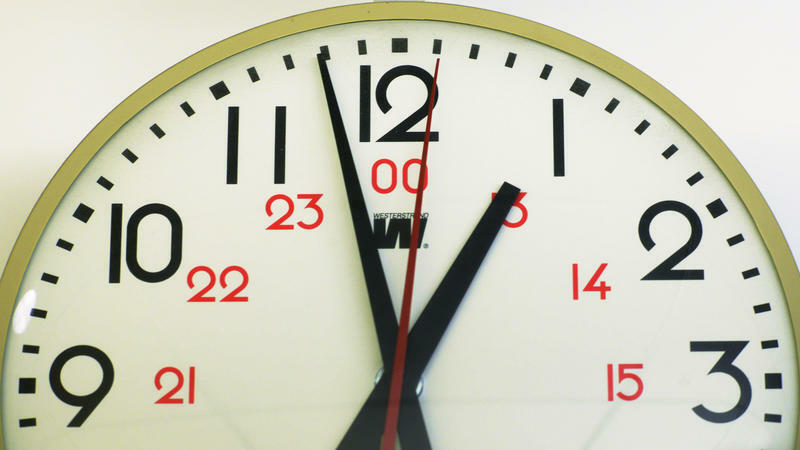 The debate will be the last of six Democratic candidate debates. 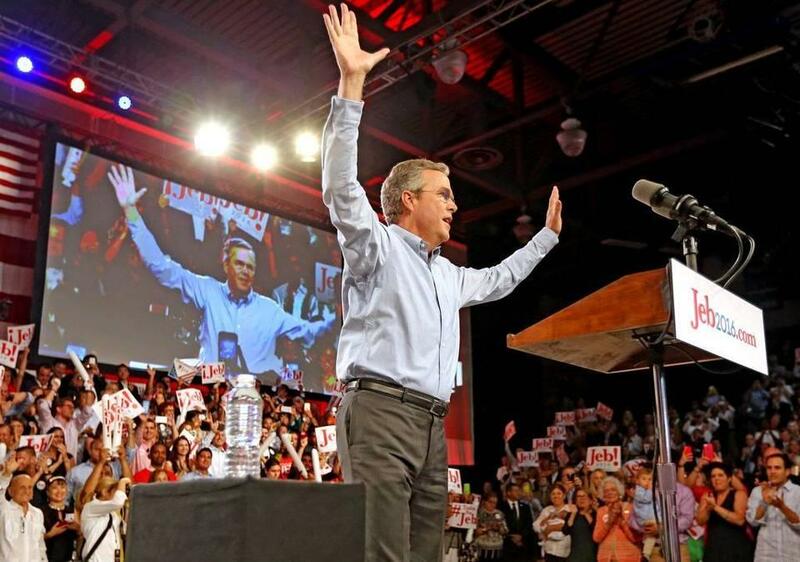 Jeb Bush announces he's running for president at Miami Dade College in June. Miami Dade College's 185-acre Kendall Campus, the largest of MDC's eight campuses, has hosted presidential hopefuls in the past. 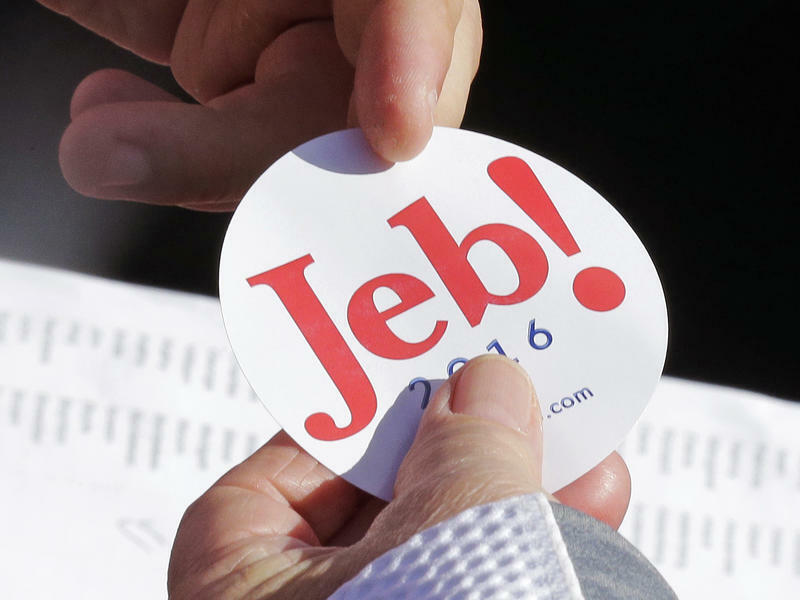 Jeb Bush announced his bid for the presidency there earlier this year. Marco Rubio announced his presidency at the Miami Dade College Wolfson campus. MDC and Univision co-hosted candidate forums with former Gov. Mitt Romney and former House Speaker Newt Gingrich during the last presidential election. "We feel very honored and privileged at Miami Dade College to have the opportunity for our students to see history in the making," MDC President Eduardo Padron told WLRN in June. The Republican Party also scheduled a debate geared toward Hispanic voters for Feb. 26, to be moderated by Telemundo and NBC. 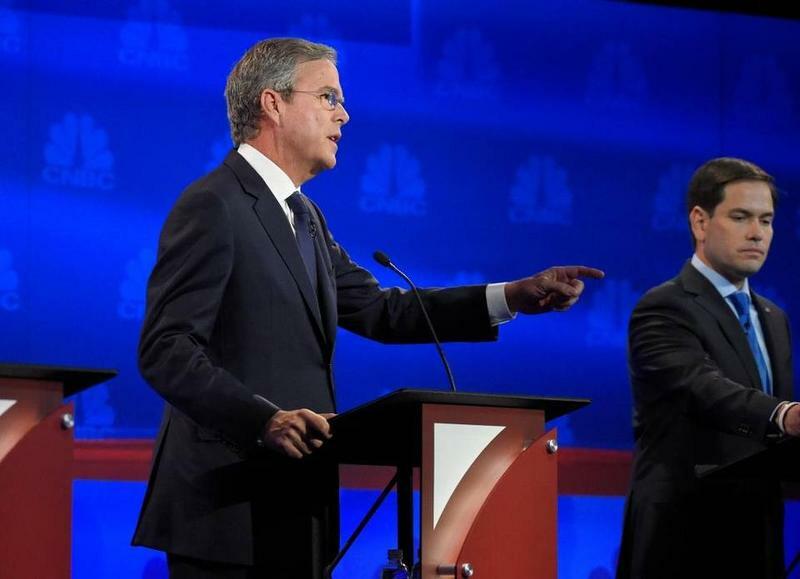 But, that debate was suspended after the party parted ways with NBC, saying the network behaved in "bad faith" during last week's CNBC GOP debate. 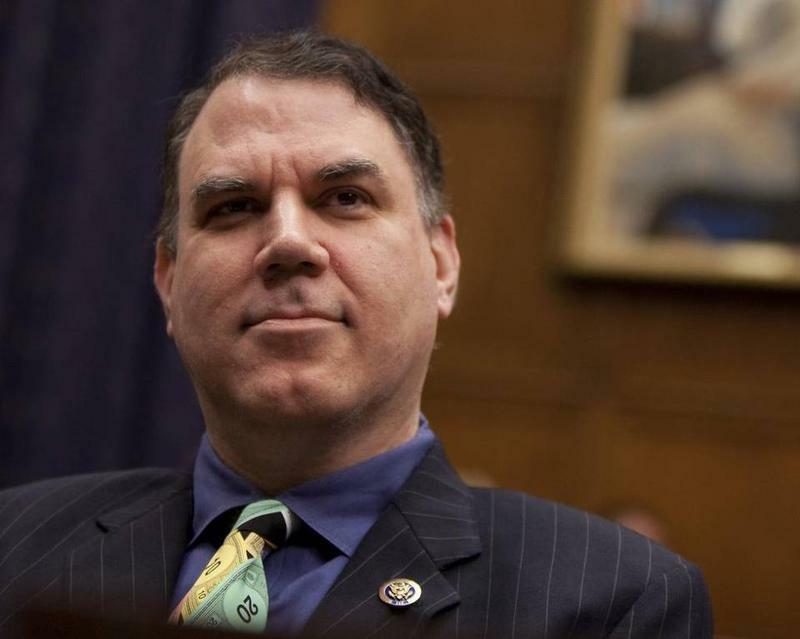 Central Florida congressman Alan Grayson has gained national notoriety for his comments on the House floor, claiming that the only healthcare plan being offered by Republicans is to "hurry up and die." Grayson, D-Orlando, doesn’t regret that comment or other remarks that have gotten him in trouble with the media and Democratic Party leaders. “It’s interesting that honest is misperceived as inflammatory,” Grayson says. The Republican presidential debate drew 24 million viewers on Thursday night, making it the most-watched presidential debate ever. Was the record viewership thanks in part to Donald Trump? Maybe. But Florida voters had two homegrown candidates on the stage, and issues like immigration and education were big talking points for both Jeb Bush and Marco Rubio. "People are frustrated," said Rubio, who called for a border fence and tougher immigration policy. "This is the most generous country in the world when it comes to immigration." Donald Trump has run his presidential campaign by his own rules, and he's blown past traditional candidates, playing by the old rules, in the process. With only five candidates on stage Tuesday night, the presidential candidates had plenty of time to speak compared with the more crowded GOP debates — but it wasn't equal time.